Providing students laptops in learning is intended, in my view, to empower them to be more effective creators, communicators, researchers, and collaborators; technology integration isn’t intended, in my view, to enhance students ability to watch, but to do. In previous posts I have referred to laptops as “more powerful pencils,” not more powerful televisions or film projectors. I am also especially enthused by the way we all, students and educators, are better able to pursue our passions to far greater depths by having tools by which we can access rich mines of information about our passion and build powerful networks with others who share our passions. When the first iPad was released, I was, and to some extent still am, a critic and a cynic. My concern has been that it is designed far more for the consumption of information than the creation of it. It is a shiny, gleaming screen through which we can surf, scan, and survey, and by which we can be endlessly entertained. 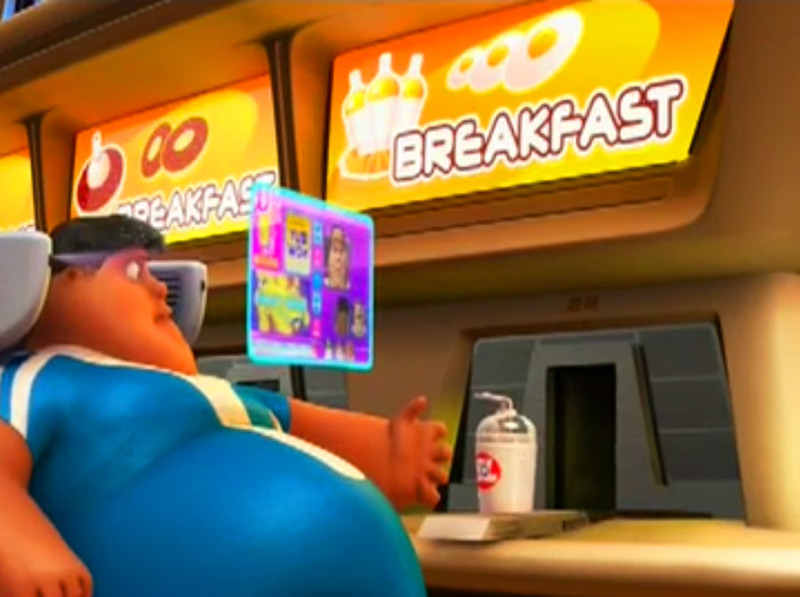 It reminds me a little of the fancy screens the human characters in the Pixar film WALL-E watch, endlessly, as they consume media and calories but don’t construct or create anything at all. Now consumption is fine, some of the time, and if you are in a household with multiple devices, like my household, an iPad may well have a great role to play. But as a singular tool for students, I didn’t think it is the right way to go for schools which seek to promote learning by doing, technology enhanced PBL, and 21st century skills (and with the iPad 2, I still don’t entirely, but my concern has diminished), . 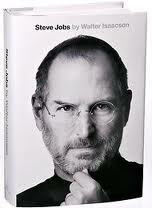 In reading the recent biography of Steve Jobs, then, I was struck to recognize that Steve agreed with the criticism. It was a criticism Jobs took to heart. He set about making sure that the next version of the iPad would emphasize ways to facilitate artistic creation by the user. Jobs acted on his disappointment and did ensure that the iPad2 vastly stepped up its power to enable content creation, with the addition of a camera, apps for Garage Band and iMovie, and much more. For more information, see, among others, this piece. Watching TV the other night (I believe in consuming entertainment some of the time), I saw the new iPad 2 commercial entitled Love, and the dots all connected: this ad was designed exactly to speak to the disappointment many of us, Steve included, shared about the iPad1, and to promise us that Apple does remember and is still committed to providing computing power for production and creation. The ad itself, and the story of Job’s disappointment with the iPad 1, are powerful reminders and examples for our schools and classrooms too: are we appropriately and regularly using and deploying the technology available for our students to produce, create, and advance their ability to pursue and effectuate their passions, or are we too much of th time just asking them to use technology to consume, to watch, read, take notes of someone speaking and fill in forms that might as well be a paper worksheet? True enough, but remember that the iPod is only in its second release. It did and still does emphasize consumption of content rather than creation of such. However, as the incredibly diverse app base has widened, it is possible now to do all kinds of content creation, manipulation, and management on the iPad. This includes content creation in such areas as music, video and photo images, and fine arts, as well as data manipulation and management from many business applications that serve a wide diverse role of business needs. AND this will only get greater in time. The point to remember is that there will be room for both consumers in this montage: those that merely channel or consume information, and those that use the new tools both hardware AND software (apps) to create content. We’re getting so used to the rapid pace of technological innovation in devices, that at times I don’t think we give ourselves time to catch-up with them. I find the iPad 2 a very creative tool & have been using it to make comic books for presentations for my sons’ grade 2 & 3 classes, rather than making posters. I use StripDesigner–and recommend it. I also find that my sons LOVE making movies of their Lego figures. I have recently heard from a colleague who returned from Nisga’a School District (92) British Columbia where students are using iPods to create claymation recreations of First Nations stories–that require research for historical accuracy in depiction, storyboarding, etc. The same teacher there was also doing ‘lego-mation’. The iPad 2 and iPod 4–and iPhone 4+–with their video and audio capabilities are very good tools for creating. I have taught sessions regarding how art can be created on ipods and there are professional artists playing with this media. Remember the early days of webpage design where we needed to know HTML? Not so accessible or user friendly. Then someone made WYSISYG editors, hosted editing software, etc. and many could post webpages. We’re seeing the same with the development of ipad & ipod use–or other mobile tech that has similar capabilities. We need to find the apps that make the functions of the ipad/ipod devices accessible in age appropriate manners–even with StripDesigner, I scaffold. We need more apps designed to meet our needs. Moreover, if a teacher is not in a district with access to the devices, has little access to professional development, we cannot expect them to find 2nd tier uses of technology like creating. Paradigms for evaluating computer use are critical, and in 1980, Taylor exposed this reality with his tutee, tool, tutor framework. This was long before wifi and before the proliferation of production software that now makes content creation so accessible. Nonetheless, the model was revolutionary at the time, because it forced educators even then to be sure we did not fall prey to the electronic workbook. Instead, those of us who knew how, pursued things like Logo, the early programming language for kids. However preserving these distinctions in how our students engage with technology does not mean we have to get stuck in an “either/or paradigm.” In fact, I would argue that the facility with which students can access and learn content using technology is far superior to any worksheet, and leaves students much more time to do compelling and meaningful projects. to collaborate on movies together. Good bit, Pal — and an important reminder that passive classrooms are still the norm even though we are dumping TONS of bucks on technology. Flashy tools like iPads and IWBs — combined with (supposedly) flashy websites like Khan Academy — all make educators that grew up in traditional sit-and-get classrooms feel like digital superstars. That ain’t the case. We’re looking at a mirage. Hi…I think there are at least two powerful lessons in your post. Don’t you think education and schooling should be about enhancing our learners ability to DO rather than watch? Your writing regularly challenges me to think, read, and learn about PBL. Technology integration removes multiple barriers that have been roadblocks for PBL, but simply having technology is not enough. I agree with you about the increase in ability to produce with an iPad 2, but don’t you think real challenge is to develop the ability and desire to produce rather than consume regardless of the technology at your fingertips? “Jobs acted on his disappointment and did…” How powerful is that? Rather than taking the criticism as a negative and saying “I can’t do any better,” Jobs used it as a catalyst to spark additional creativity and innovation. He did something to make a change to better the product. Isn’t that what we want from all learners? Oh, and for those struggling to give second chance tests and assessments, the iPad 2 is a great example of what feedback and a 2nd chance can do for you. Hey Jonathan, I took a team of teachers over to Apple last year for a briefing with one of their execs. He, like Jobs, submitted that the iPad is all about content consumption. My suspicions are confirmed with every iPad conference and ‘iPad School’ that I’ve attended thus far. The conversation tends to be pretty low level in centering around discussions about apps. I remember listening to one teacher telling me about an iPad app with videos showing the process of cell division. Thousands of movies on YouTube have been available for years-these do the same thing in a much more open and portable manner than the closed app she was excited about. Furthermore, many kids don’t find them useful for production either…iPad owning kids at my school are constantly coming to check out chromebooks from us when they need to collaborate, write and publish. Some of that concern is warranted, students are still kids, some content is not appropriate for them. B learning today’s technology allows you to learn tomorrows, it all builds off itself. Finally, we need to provide teachers with pd on content development, so they are comfortable and have tough conversations with those educators who want to keep handing out pieces of paper or to tell students to read page X anda when you done sit still and look straight ahead. Jeremy, your point about the fear associated with content creation is a good one. Many teachers and administrators that I’ve talked to like the iPad because it is a much more ‘controlled’ and content-centric computer. Working with multiple applications, windows, etc on an iPad is laborious at best-adults like the notion that the iPad doesn’t multi-task very well. I’ve also heard from many adults that the flat, slate style form factor is ideal in the classroom environment for monitoring what the kids are doing on their computers. Control, control, control, control–it is something adults in schools have a difficult time giving up.